Subtitles are the files embedded in the videos that translate or transcribe the dialogue or narrative. 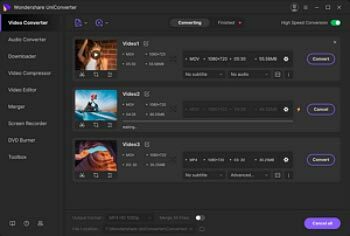 It is also to be noted that the subtitles are the best way to make sure that the best is provided to the videos and the cost is also saved when it comes to dubbing as well. The M2TS subtitles are difficult to add and the related process is also not easy to follow. 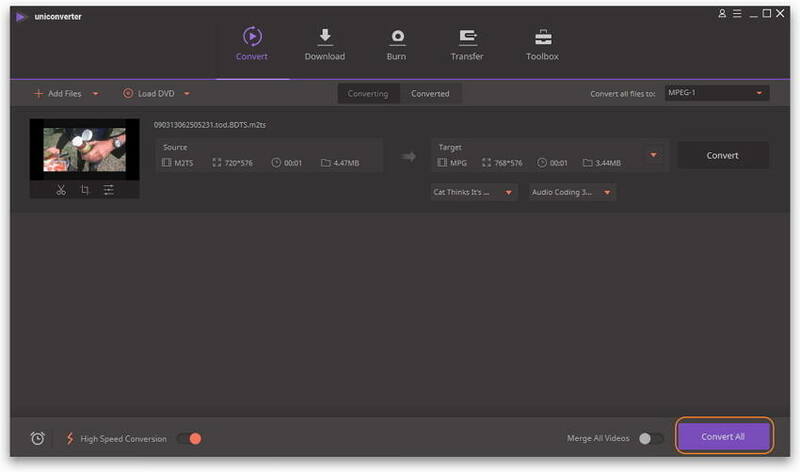 The subjected program is known for converting the video and audio files to other formats as it will make sure that the best is provided to the user within no time at all. 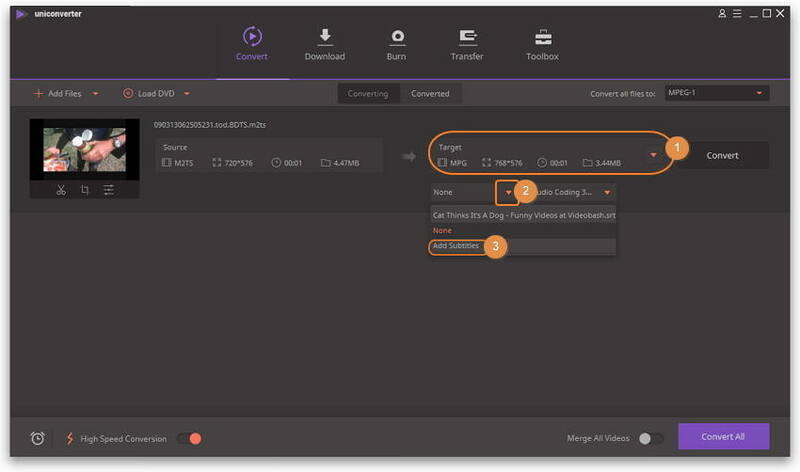 But only a few users are of the view that the program has a hidden and gem of feature of adding subtitles. It is also to be noted that the process is very much easy to follow and you can follow the detailed steps as below. Step 1 Open Wondershare UniConverter (originally Wondershare Video Converter Ultimate). Download and install the program, and run it on your computer. 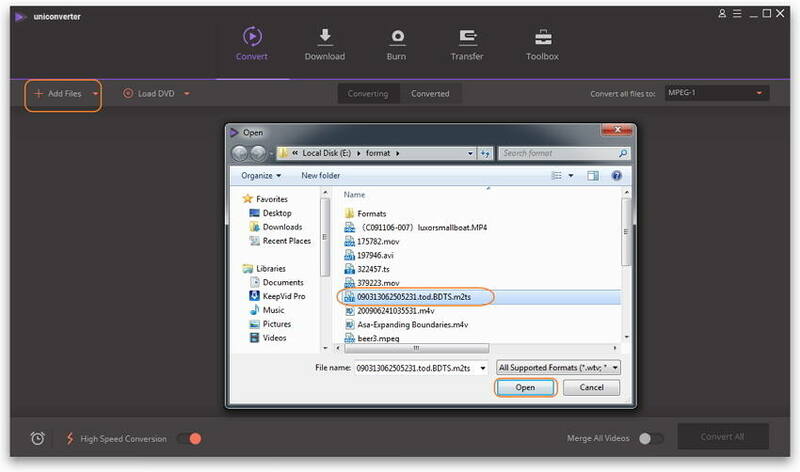 Step 2 Add M2TS video file. Click Add Files to open the File Explore, browse the target M2TS file, select it and click Open button to load the file. Step 3 Add subtitles to the M2TS file. Select the target format you want, here we make MPG for example, and then click the inverted triangle beside None, select Add Subtitles from the drop-down list. A pop-up window will appear, and add the subtitle file like .srt you want, then click Open to load the subtitle file. Step 4 Combine the M2TS video with subtitles. 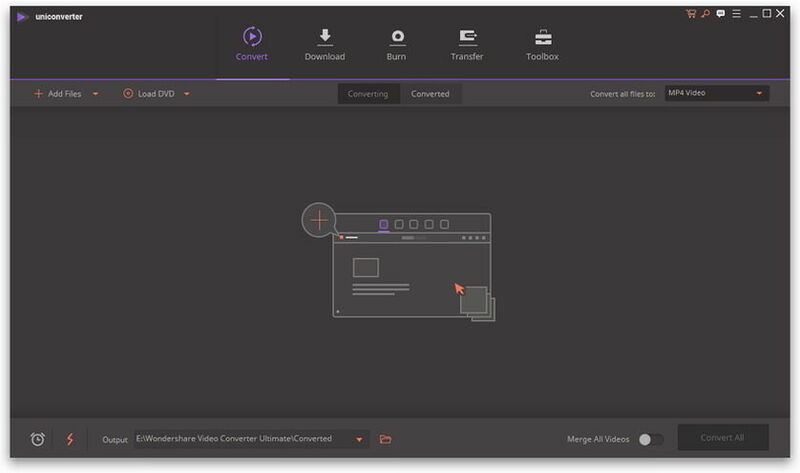 After adding subtitles to the video, you can click Convert All to start merging the M2TS video with subtitles. After a while, you can find the video with subtitles in the Converted tab. It is one of the easiest ways that could be followed. The user just needs to download the program known as tsMuxer that is known for doing wonders in this regard. To make sure that the best is taken out of the program it is advised to follow the steps that are mentioned here in the same order as it will make sure that the issue is not only resolved but the problem is also resolved as soon as the process is applied and it can be done within no time at all. 1. 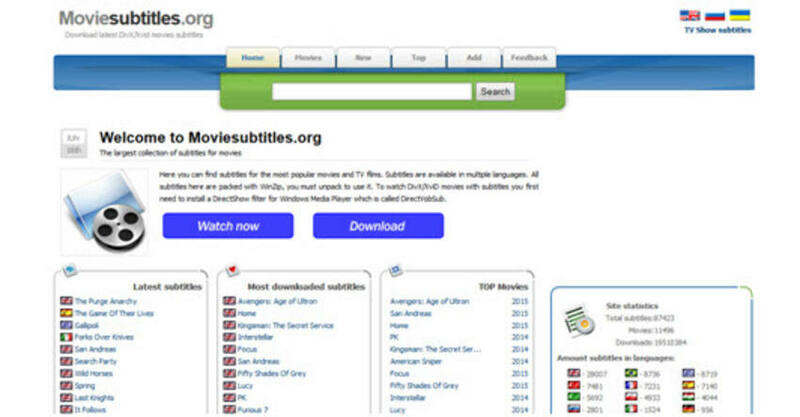 Movies subtitles http://www.moviesubtitles.org/ (Freeware). To make sure that the best is provided in terms of the subtitle download this website is recommended to the users. It is also to be noted that all those users who are not tech savvy can also use this website as it is very easy to follow and to download the desired subtitle. For any issue online help can also be availed in this regard.